About a third of students at OWU participate in a fraternity or sorority. 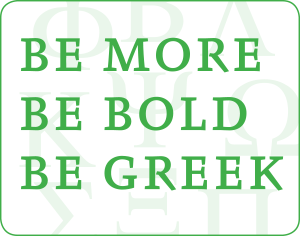 Greek life focuses on fellowship, scholarship, philanthropy, and service. Add those activities together, and you’ve got a positive force that makes the college and local community better places to be. OWU’s five fraternities and five sororities are culturally diverse, reflecting the changing society around us. As a Greek, you’ll develop leadership skills along with lasting friendships. You’ll learn how much fun helping others can be. And you'll acquire the time management skills that will help you academically and professionally. After you’ve left your mark here, you’ll move into an alumni network that just might help you find a job. 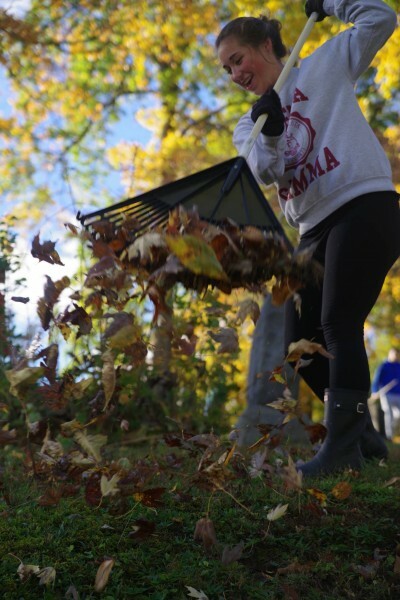 OWU fraternities and sororities are affiliated with the National Panhellenic Conference, North-American Interfraternity Conference, and the National Pan-Hellenic Council, ensuring that the local chapters adhere to Greek standards across the country. These national groups also help local chapters promote the value of Greek life through college and beyond. When you Go Greek at OWU, you enter a brotherhood comprised of your fraternity members as well as those affiliated with other fraternities on campus. The Panhellenic Council, composed of eight officers representing the member organizations, is committed to ensuring the growth of sorority life on the OWU campus. The National Pan-Hellenic Council promotes, supports, and represents traditionally African American-focused fraternities and sororities. Ohio Wesleyan is home to four National Pan-Hellenic Council member organizations, and we are working to boost membership in them by partnering with Otterbein and Capital universities. Ohio Wesleyan is home to two honor societies for members of fraternities or sororities: The Order of Omega and Gamma Sigma Alpha.